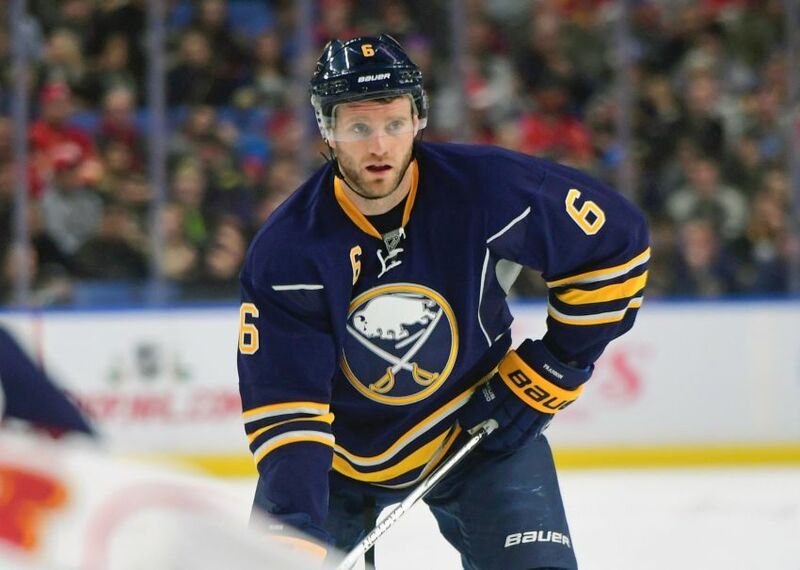 BUFFALO – Sabres defenseman Cody Franson blocked a shot in Thursday’s 5-2 loss to Anaheim and will miss this weekend’s games, coach Dan Bylsma said. Franson, who needs to be evaluated, was wearing a walking boot on his left foot and using a crutch to walk today inside KeyBank Center, where the Sabres had an off-ice workout instead of practicing at HarborCenter. The Sabres play Saturday in Toronto and host Vancouver on Sunday. For a blue line that has endured a rash of injuries this season and is currently missing Zach Bogosian, Franson’s absence could be huge. Franson, 29, has been one of the Sabres’ most productive defensemen, compiling three goals and 16 points while averaging 18 minutes, 51 seconds of ice time in 51 games. If the Sabres become sellers before the upcoming trade deadline, Franson, an unrestricted free agent following the season, could be one of their most valuable assets. But a long-term injury could change that. In other news, Bogosian, out with a mid-body injury, skated today, Bylsma said. The Sabres want to see how he responds to contact. Center Zemgus Girgensons, meanwhile, will miss the weekend games with a mid-body injury, Bylsma said. Girgensons sat out Thursday’s loss. Bylsma kept the Sabres off ice today because of the busy schedule. In other news, the Sabres sent center Evan Rodrigues back to the Rochester Americans this morning. Rodrigues was recalled Thursday but sat out against the Ducks.